Based on the popular MAZE RUNNER book series, MAZE RUNNER: THE DEATH CURE arrives on Digital Download on 21st May and 4K Ultra HD™, Blu-ray™ and DVD 28th May. 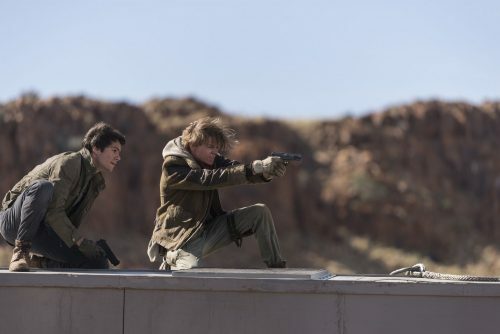 In the most thrilling adventure yet that is “a class above anything that’s gone before” (Matthew Bond – Mail on Sunday, EVENT), fans will be taken on a non-stop action thrill ride as Thomas (Dylan O’Brien), Newt (Thomas Brodie Sangster) and Teresa (Kaya Scodelario) take us on the last and final quest. Fans who buy on 4K Ultra HD™ or Blu-ray™ will also be treated to 90 minutes of heart stopping special feature content including commentary, deleted scenes, and a behind-the-scenes look at the evolution of the cast’s friendships over the years!